Daniel Beider is the founding member, Chairman and Senior Managing Director of Paramount Lodging Advisors with over 20 years of experience in the hotel industry. During his professional career, Daniel has served in a number of roles within the industry. 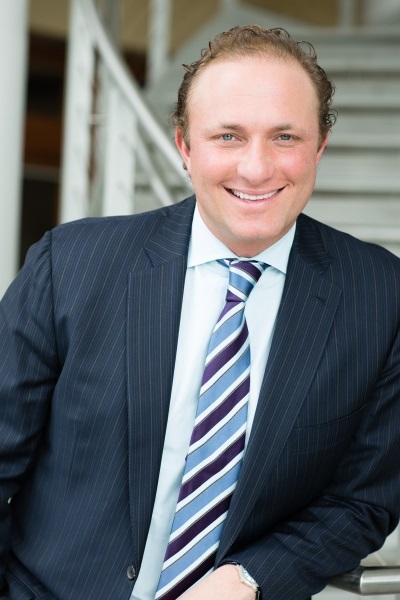 Daniel is located in Paramount’s HQ office in Chicago and is focused on facilitating hotel transactions, consulting, and client relationships nationwide with an unmatched level of client advocacy. Prior to Paramount Lodging Advisors, Daniel was the founding member and Managing Director of NAI Global Hotels, which transacted approximately $500,000,000 of hotel assets in its initial 18 months of business. He was recognized by NAI with the Fitzgerald award for the utilization of the NAI system and network. He was also awarded the Global Vision award during his tenure based on the pursuit and development of the Hotel specialty practice group, and was a consistent top performer and multiple member of the Gold Club, which recognized collaborative brokerage. This collaborative brokerage philosophy and a demand for greater industry acumen companywide have been maintained with the launch and ongoing operations of Paramount. In addition to his tenure at NAI, Daniel also held the position of VP at Mid America Hotel Corporation, acting in numerous capacities in hotel operations, as well as asset managing a family-owned portfolio of hotels. Daniel is a frequent speaker at Lodging Investment Conferences and has contributed to or been interviewed by numerous lodging and commercial real estate publications. Daniel received his BA from DePaul University in Chicago, where he currently sits on the Advisory Board for the DePaul School of Hospitality Leadership. He is also a member of the Advisory Board for the North American Hotel Investment Conference (NATHIC). While he’s not in the office, Daniel serves on the Board of Integrative Touch for Kids (ITK). ITK is a non-profit organization dedicated to healing children with special needs. Daniel is also involved in coaching and mentoring youth baseball and softball leagues in the suburban Chicago area.